My brother sent me an email today about the death of someone who meant a lot to both of us. 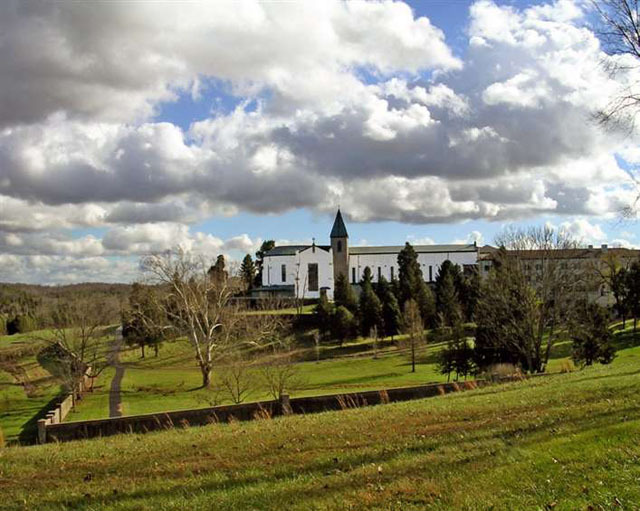 Matthew Kelty was a priest and monk who lived in the Trappist Abbey of Gethsemani in Kentucky. This Courier Journal article captures him well, I think, as do his own words on the monastery's website. Back in the late '90s, I was one of the many retreatants he counseled with comfort and compassion, and a little bit of clever evasiveness. It was 1996, and I'd just quit an advertising job, and moved from Amsterdam back to America to seek my purpose. I didn't have a job, or a plan of any sort, really. I thought I'd study religion, perhaps teach eventually. I visited a few grad schools. I sought substance, something with deep roots. I was more than a little afraid that in my seeking I might be called to a something beyond what I could pull off, and entering the monastery represented the most extreme and terrifying commitment I could imagine. So, I thought, I'd better investigate. I signed up for a week-long silent retreat at Gethsemani, joining the monks for prayers and meals, my time otherwise spent reading, in silent meditation or walking around the woods. One day I screwed up my courage and went to meet Fr. Kelty. I stuck my head in his office on the first floor of the guest house, and he called me in. I told him how I sought meaning in my work, that I wanted to fulfill whatever purpose was in store for me, and that I wanted to know how to discern whether the monastic life was right for me. I was sort of a mess, really, full of confusion. He listened patiently and intensely. He handed me a small pamphlet he had written years earlier for young novitiates, but he refused to engage directly in my inner turmoil. Instead he wanted to talk about high school football. "Where'd you go to school?" he asked in his thick Boston brogue. Trinity, I told him, in Louisville. "They got a good football team. You play football?" he asked. Um, no, I was more into theatre and art. Small talk? This man was Thomas Merton's spiritual director! Where was the wisdom? I was getting frustrated. Fr. Kelty looked at me penetrating for another moment, and slowly smiled. Then he stood up and walked around his desk, and gave me an unexpected hug. "You're okay," he said, softly. "Everything's gonna be alright." Then he gave me a pat on the cheek and sent me back into the world. This is very encouraging at a moment when I needed encouragement. I, too, would like to be all right; for some reason this makes me feel a little reassured. Shoot - a comment from J Channell disappeared before I got to check out the link. Post it again, if you don't mind. He viewed writing as a type of auto didactic, Emersonian, practice makes perfect application of Unitarian inspired transcendentalism. Thoreau believed, like Voltaire, that "we must cultivate our garden" not only to do better work, but to ultimately develop better souls. Jelly, thanks for your interest in my old-school, New England, liberal protestant pal. We're both lucky to have known big, curious people, that ask big, curious questions that thankfully, take a big, long time to answer!